If you are a landlord with an available property in Warsaw please contact our office. Prestige Real Estate Agency has the pleasure of inviting you to take advantage of our expertise in the Warsaw property letting market. 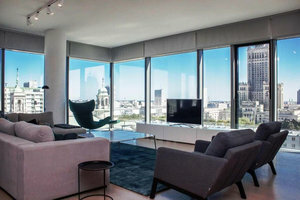 As a company specialising in luxury and prestige houses and apartments in Warsaw we would like to offer you our professional services to handle the rental of your property. We have years of professional experience in the property market in Warsaw and Konstancin. We collaborate with foreign Embassies, international corporations, ex-pats and many relocation specialists. At your request our agents will visit the house or apartment you wish to let, arrange for a professional photo session and give you an in-depth briefing about our working methods and experience. In case of time pressures the letting process can begin with a telephone call or an email and the information obtained about your property will be used to present an initial offer to our selected number of clients. We employ a team of professional and experienced agents and most of our letting properties reach us through ‘ word of mouth’. Our customer base consists to a large degree of regular customers, Owners who have been using our services for a number of years repeatedly trust us to let their properties. 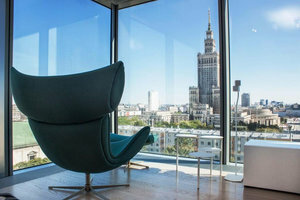 Most Owners entrust us to let their properties on an exclusive basis and we succeed in finding clients even for the most expensive houses and apartments in Warsaw.